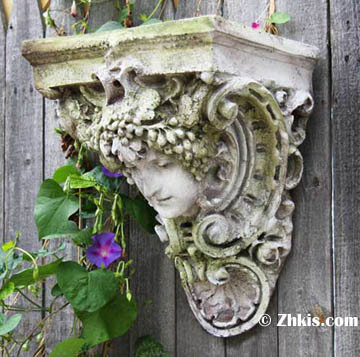 Lady face wall planter. She is a lot like the Greenman. Just that she is female form. Representing the rebirth of spring. As dormant plants miraculously come back to life. It has always been a mystery to man as to how plants do that. So this planter is the personification of new life in the spring.